All of our customers can feel confident knowing that Green Leaf Lawn is the right choice for their lawn care service in Tulsa. We have over 10 years of experience providing professional lawn care services The Tulsa area, and we don’t plan on stopping anytime soon. When it comes to spring and summer months, call the Turf Enhancement Engineers Green Leaf Lawn for all your lawn and landscape needs. We believe in giving the best quality service and that’s why we provide every customer that we service with fully certified spray technicians right here in Tulsa. Our employees are certified by the Oklahoma Department of Agriculture, and we are equipped with the proper licenses to bring you some of the very best Tulsa lawn services in the area. Don’t let all the chores that are so save with holidays overshadow the fact that you’re supposed to be enjoying yourself. Pick up the phone and call Tulsa Christmas Lights installation services at Green Leaf Lawn today. Our numbers 918-640-6405, and we aimed at taking professional care of you and your family this holiday season. By the time the holiday season rolls around it’s important to take your time and relax with your family. Don’t stress about the holidays this year and let the experts at Green Leaf Lawn do all of the heavy lifting for you when it comes to making sure your home is more beautiful than ever before. You get to sit back, relax, and appreciate the company of your family and loved ones while we set up all of your Tulsa Christmas Lights displays. The high level of seasonal activity around the holidays can truly put stress on the Christmas spirit for you and your family, and we want to help. There’s no other lawn care service that can bring you the rich, beautiful lawn that you’ve always wanted and desired. Let us transform your home into a paradise that will be the envy the entire neighborhood and beyond. Our experience is what makes us more professional than the competition. We have a bunch of different services at your disposal including mowing, holiday lighting, landscaping, weed killing, and much more. We look forward to meeting with all of our future and existing customers and we can’t wait to provide you with the expert service you depend on. We are devoted to you and we are devoted to our craft and providing some of the very best lawn care services and Tulsa Christmas Lights displays you’re going to find anywhere. Green Leaf Lawn is also dedicated to providing “Cutting for the Kids”, a charity that we started that allows us to donate to the school district of our customers choosing every time we provide a new service. For free estimates and references about all of the things that we can provide, call us today at 918-640-6405. We offer leaf cleanups from lawns and landscape beds, gutter cleaning, seasonal flowers, trimming perennial plants, raking in over seeding, and much more. For Tulsa Christmas Lights installation you can do much better than Jamie Nix and Josh Mathias at Green Leaf Lawn. It’s that time of year again, but if you don’t want to climb up all the ladders and deal with the cold weather and the hassle of stringing lights yourself, it’s time to call the experts at Green Leaf Lawn. Leave Tulsa Christmas Lights hanging up to us and you simply sit back and relax this holiday season. From small homes to large homes, we offer roof line, tree lighting, landscape lighting, and much much more. You’ll be the envy of just about everyone in your neighborhood with our professional installation on your side. Our team of Tulsa Christmas Lights decorating experts will turn your home into a festive winter Wonderland. We will be happy to provide you with all of your lighting needs this holiday season. Our Christmas light service offers everything you need to decorate your home from the outside to the inside of the amazing Tulsa Christmas Lights. We have you covered and we can’t wait to get the holiday spirit to your side of town with all of our faithful customers across the city. Give us a call today at 918-640-6405 if you would like more information about a free estimate and all the services we offer at Green Leaf Lawn. You can also feel free to visit our website for more information about our company and Jamie Nix and Josh Mathias. The website is www.greenleafweedcontrol.com, and you can find all of the holiday lighting treatments that you need. If you think we just do Tulsa Christmas Lights, that’s about half of it. We actually started our service in the lawn industry and we provide amazing care to people of Tulsa. Jamie Nix and Josh Mathias have over 10 years of providing professional lawn care experience throughout the Tulsa, Oklahoma area. With all of our services you can be covered whether it be mowing, holiday lighting, landscaping, weed killing, and much more. There’s simply no other lawncare service provider that you can trust to bring you the rich, beautiful lawn that you’ve always wanted. We offer affordable prices right here in your hometown. 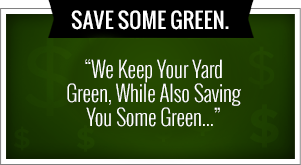 With other free estimates and references, you can be taking care of with our Green Leaf Lawn team on your side. We are experts in our industry and we can’t wait to start serving you as soon as you pick up the phone call us a call. Our company started as a place to provide exceptional service. We are good at what we do and we strive every day to become better. If you are looking for a trusted provider of Tulsa Christmas Lights, we can help you with the set up, takedown, and storage of these lights. 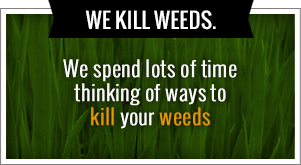 Also feel free to use us for your lawn care needs. You’re never left wondering if we did the job right overall at Green Leaf Lawn: because we always strive to do things right the first time. It’s just the way we like to do business and we’ve been doing it that way ever since we first opened our doors. This is probably why some of the top companies in most beautiful homes around the Tulsa area trust us when they need a service provider of lawn care and holiday lighting.